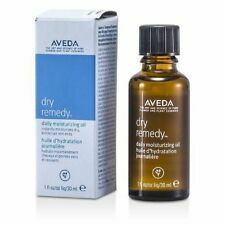 This is for ONE New, Aveda, Dry Remedy, Daily Moisturizing Oil 1oz/30ml. Leave-In Treatment for hair. No box. Any questions, please ask! SET Aveda dry remedy moisturizing shampoo and conditioner 33.8 oz / 1 Liter- New. Condition is New. Shipped with USPS Priority Mail. How to use: Massage into wet hair from roots to ends. Safe for color-treated hair. Age Group See all condition definitions. Custom Bundle Product Line United States. Country/Region of Manufacture Modified Item Does not apply. It works well on color-treated hair. Use this product in the shower after shampooing. Massage the product into your hair from ends to roots evenly and leave in for 2-5 minutes. One of the benefits of keeping your hair hydrated is that your hair stays soft and supple. Aveda Dry Remedy Moisturizing Masque 5oz. Condition is New. Shipped with USPS First Class Package. Aveda Dry Remedy Moisturizing Hair Masque Mask 5 oz FRESH FAST SHIPPER! Directions: Use as needed depending on the needs of the hair type. After shampooing, smooth evenly through damp hair from roots to ends. Leave in 2–5 minutes. Rinse thoroughly. Leaves hair soft, supple and shiny. 5 out of 5 stars - Aveda Dry Remedy Moisturizing Hair Masque Mask 5 oz FRESH FAST SHIPPER! 2 product ratings2 product ratings - Aveda Dry Remedy Moisturizing Hair Masque Mask 5 oz FRESH FAST SHIPPER! Organic Kukui seed oil will soften the hair. I will include the small spray bottle. Easy to follow instruction listed on back of the bottle. LOT OF 2 NEW SAMPLES AS PICTURED. 100% AUTHENTICITY. Money back. Worldwide . • Leaves hair soft, supple and shiny. Information you will find bellow.